There are two competing apartment developments in Milton, currently being developed. 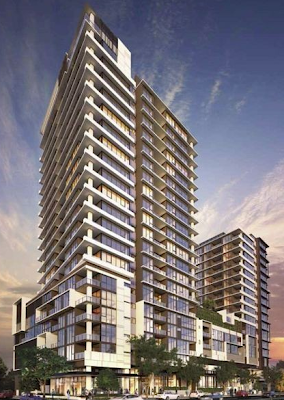 The Milton, being developed by FKP, at 55 Railway Terrace. FKP has announced recently that it will be focusing on retirement properties, rather than residential developments. 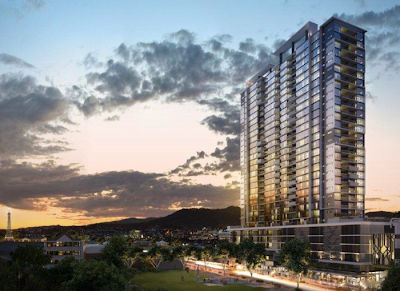 Westmark Milton, being developed by Lang Walker from Melbourne, at Railway Terrace between Walsh and Manning Streets. FKP's renderings show a park across the road from its development. What FKP does not show is any illustration with the Westmark building, that will (I suspect) block out any river or city views that residents of The Milton may have been expecting. Due to the railway, both buildings should have uninterrupted views of the XXXX brewery. The Milton -- but where exactly is the green space that is shown?